What I would like to see in Hollywood Studios. Here are some attractions that I would like to see in the Hollywood Studios expansion. I’m going to give the elevator pitches for them now; I will further expand on some of them later. Wall-E Dark Ride – Thank you for testing the new Buy N Large family chair. Relax as we take you on a tour of the Axiom. “Caution. Rogue Robots.” Place this in a new ride building behind Toy Story Mania. Also I wouldn’t mind a shirt based on the simply design from the movie. Big Hero 6 Superhero Lab – a temporary attractions, go in and meet the Big Hero 6 and hear how they use science to become super heroes. Then enter the lab and try some superhero powers for yourself. Allows showcase of of Playmation toy line. Wreck It Ralph Arcade Crash – At first I discounted Ralph because of Nintendo signing with Universal but upon rewatching it Nintendo had very limited appearance. So join in a Race around the Arcade. Star Wars: Evacuate Hoth – I think it’s time for Disney to swallow their pride and put out a ride similar to Mummy or Spider-Man from Universal. Riders are inside the Hoth base when the Imperials attack and need to make their way to a ship to escape. Race through the craved tunnels of the base while dodging Storm Troopers, Wampas and other dangers. Star Wars: Clone Trooper Training – I came up with this while writing about Disney Quest. Train as a Trooper for the Republic as you fight off Battle Droids. This would be another shooter ride similar to Buzz Lightyear. I am rethinking this a little bit though in case it is too violent. 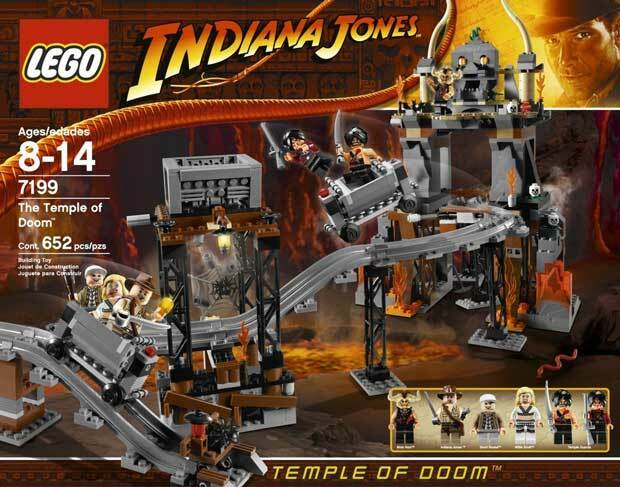 Indiana Jones & the Temple of Doom: Mine Car Escape – After spending what seems like a lifetime as a prisoner in the mines of Mola Ram. Join Indiana Jones, Short Round, and Willie as you use the mine cars to escape from the perils of the Kali’s Temple. The trick to this would be to actually one up Mummy from universal. Muppets – After an accident damaged the old Muppet Labs, the Muppets shift through their Props Warehouse for a new start. Sit back and watch as they dig through the past.